Click on the above order form link, select the options for your Bible, then print the form and ship it along with your book. 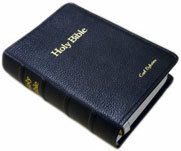 "Received my bible that I had you rebind for me. Far better than I expected. Quality exceptional. As far as customer service, Katie was superb in every area, to the point of tracking the package for me since I didn't have a tracking #. From beginning to end, could not have been better." 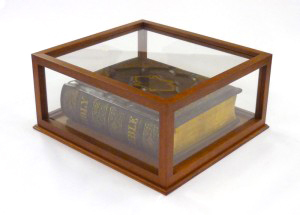 "I just received my Bible rebind in brown goatskin with black calfskin liner. Oh, my! I thought your last work was sublime (it was.) But this one is even more elegant! I am just so taken with the quality of your craftsmanship! Thank you once again for a VERY good job which I'll value for a LONG time to come. Well done!" Occasionally some leather colors may be temporarily out of stock. 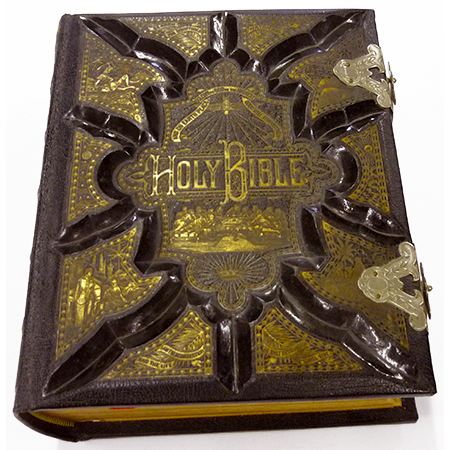 If the color you have chosen is unavailable when we receive your Bible, this will cause a delay in the completion of your order, thus a delay in the return of your book. To avoid this, please select a second color choice on your order form. Or call us before sending your book to ensure your preferred color choice will be available. "I received today the TWO PULPIT BIBLES from you. When they arrived, and I opened the box up and unwrapped the Bible, I just stared and became SO THANKFUL! ALL THE BIBLES YOU MAKE FOR ME (not just these last two) are absolutely PERFECT. I thank you. I, so very much, THANK YOU!"